There is no time for wrong notes when Macrina, 70, is leading the band. On Tuesday, students filled the auditorium stage, warming up in a flurry of sound. “Let’s go,” he called. No dawdling, just business. Maybe destiny brought Macrina to Brockton High School as a music teacher in 1971. He arrived and never left, training scores of musicians and becoming director of music education for the Brockton Public Schools. He knows what students are capable of if they commit to practice. When they don’t, Macrina can hear the difference and lets them know it. “Preparation is everything,” Macrina said, standing before them. Zedahlina Alayon, a sophomore, played flute on the piece. 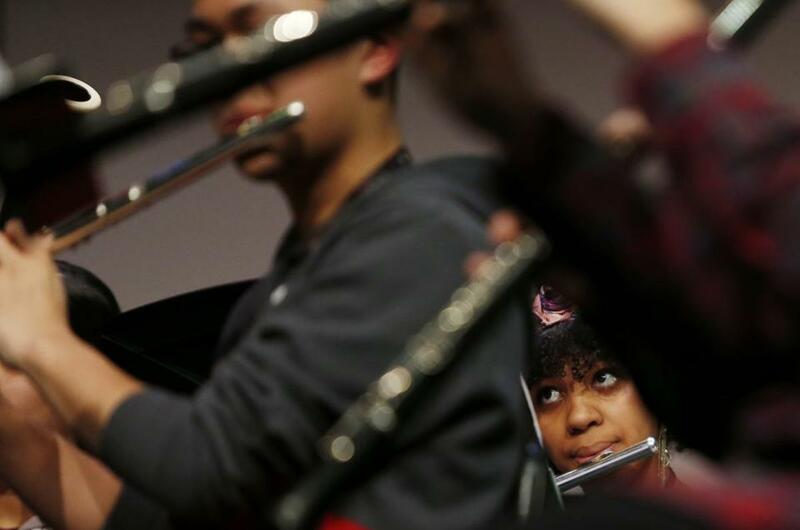 Despite snow days stealing rehearsal opportunities, the Brockton High School Advanced Concert Band prepared for months to bring an original piece of music about the city to life. On Wednesday, Randy Klein, a New York-based composer and pianist, was set to watch the students perform a piece he was commissioned to write in honor of the city and the Rotary Club’s 100th anniversary. The piece, in three movements, celebrates Brockton’s historic shoe industry, champions, and diverse populace. Klein spent time with the band during rehearsal, explaining his vision and listening from the back of the room. 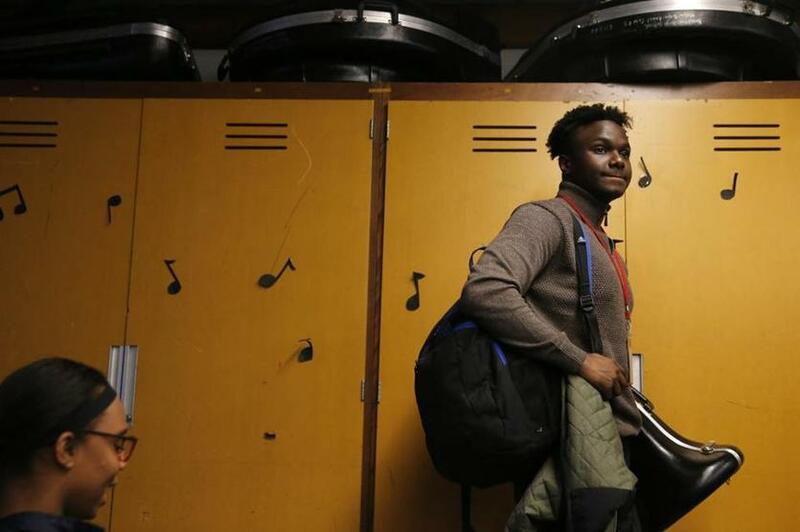 John Hyppolite, a junior who plays with the Brockton High School Advanced Concert Band, packs up his things after practice. The composition for Brockton began as a passing thought. Amy Korim, a lifetime Brockton resident and concert pianist, met Klein at a jazz concert. Last year, she read about a piece he wrote called “Fanfare for Jerusalem,” performed by 400 voices at New York’s Metropolitan Opera House. “I thought if Randy could write a piece for 400 voices, maybe he could write a piece about the history and the pulse of Brockton,” Korim said. In one phone call, she presented Klein with a thorough history lesson on Brockton. The students’ focus reminded Korim of a professional orchestra; the kids admitted it was a challenge. The students are used to looking up music and listening to how it’s supposed to sound. Though Klein sent them a recording, performing the piece felt like paving a new path. Brockton senior Cole Analoro, 17, said at first the students didn’t recognize the story Klein was trying to tell. But as they learned more about the city, they began to recognize those details in the music.